Bicycles were stolen from the parking garage of The Shelby, 6200 N. Kings Highway, in the Alexandria section of Fairfax County. These thefts occurred around 12:30 p.m. on Sunday, August 23, 2015. Anyone with information should contact Detective M. Wallace at (703)360-8400 ext. 2249. Callers may remain anonymous. There have been 660 bicycles stolen in Fairfax County from January 2014-YTD 2015. Help prevent theft; tips from the Washington Area Bicyclist Association:http://www.waba.org/resources/preventing-bicycle-theft/. FABB is trying to obtain a list of recent bike thefts so we can produce a map to show where thefts are occurring around the county. Police have given us dates of the thefts but not address information even though that information is available from the Daily Police Blotter releases on the Police News site under Larcenies in this format: 6300 block of Millwood Court, bicycle from residence. Police blotter reports prior to September 13, 2014 are compiled online in a slightly different format. If you would like to help extract this information, let us know. 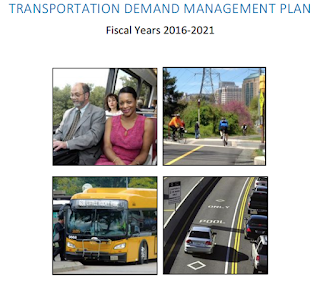 At their September 22 meeting the Fairfax County Board of Supervisors voted to approve the Transportation Demand Management Plan 2016-2021 (p. 359). A major recommendation of the plan is funding for a "Bicycle and Pedestrian Coordinator." This position would be in addition to the existing Bicycle Coordinator and Pedestrian Coordinator positions. 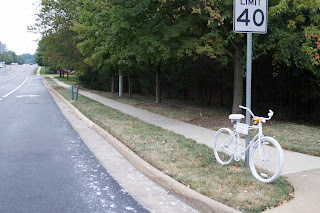 The new position would be "responsible for encouraging walking and biking in Fairfax County, by raising awareness of existing facilities and connectivity, and promoting safe bicycling and pedestrian behaviors." This is in line with recommendations in the Bicycle Master Plan for Bike Fairfax to conduct encouragement and education programs. The existing Bicycle and Pedestrian Coordinator positions are primarily involved with development of infrastructure projects. FABB has been advocating for funding for Bike Fairfax since the Bicycle Master Plan was adopted in October 2014. Funding for the Bicycle Program was eliminated in 2010 so almost no funds are available for non-infrastructure activities. We're very encouraged by this latest development. The TDM Plan includes some minor recommendations to strengthen the Bicycle Program by using TDM funds for providing information on bicycle transportation options and distributing bike lights. Those funds could also be used for purchasing bike counters, a major goal of the Bicycle Master Plan. The Fairfax County Bicycle Program is housed in the FCDOT’s Capital Projects Division. The program’s budget is for capital projects only, and is used primarily for developing bicycle lanes and parking. The countywide Bicycle Master Plan (Phase I for Tysons Corner was completed in 2011)13 includes goals and objectives related to education and outreach. However, without available funding for programming, the Bike Program is looking to develop partnerships to implement outreach and education activities. Over the next few years, the Bike Program hopes to extend the regional Capital Bikeshare system into Fairfax County, starting with bikeshare stations in Reston, Tysons Corner and Merrifield. With the introduction of bikeshare, marketing and education will be even more important. The FCTSG TDM program can help promote bicycling as a transportation option by providing information on bicycle transportation options and bicycle education. FCTSG can also distribute accessories (i.e., bike lights and pant clips) to promote bicycle safety and contact information for the Bicycle Program staff. Another way to support the bicycling in Fairfax County could be to help provide funds for automatic bicycle counters, so that the county can begin to collect data on bicycle (and pedestrian) travel. This enhancement would fund a dedicated position responsible for encouraging walking and biking in Fairfax County, by raising awareness of existing facilities and connectivity, and promoting safe bicycling and pedestrian behaviors. Fairfax County has invested, and continues to invest in bicycle and pedestrian infrastructure through the capital projects program. However, programming around bicycle and pedestrian transportation – which is critical to encouraging use, particularly among new users – is needed. A dedicated bicycle and pedestrian coordinator would support broad marketing of bicycling, including educational events focused on bicycle safety and promotion of a positive culture and attitudes around bicycling and walking, as well as support in establishment of bike sharing in the county. In order to be competitive with nearby jurisdictions, Fairfax County needs to transform into a community where more people are able to get around without a car, to safely walk (and bike) to nearby destinations and have access to better transit options. That's the gist of an opinion piece written by Gerald Gordon, president of Fairfax County Economic Development Authority (EDA). However the title of the article, which appeared in the Washington Post this weekend, is very misleading: Why Fairfax won’t change for millennials. What it should say is that Fairfax County will change for millennials and everyone else who wants walkable, transit-oriented living spaces. We've been saying this for a long time and it's good that the EDA agrees. We hope in the future the EDA will including a mention of bicycling on their Fairfax Transportation page. We have two of the most popular bike trails in the country, the W&OD and Mt. Vernon Trails, and more people are using bikes to access Metro and for other short trips. We also agree with Mr. Gordon when he says "The trick, of course, is that they are not at all easy to achieve, especially for communities developed within a traditional suburban model." Fairfax is slowly being transformed but it is a long slow process. The Board of Supervisors understands this need for transformation and is encouraging growth around Metro stations and other transit areas and there are some funds for bike and pedestrian projects. 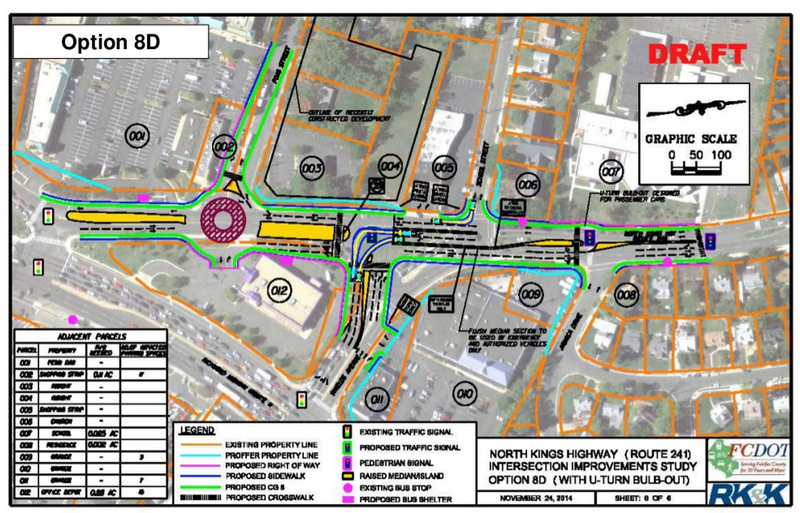 Making Fairfax more bike- and pedestrian-friendly are key components of this transformation. Change is slow and we would like to see more resources devoted to the transformation. An example is that the bicycle coordinator position has been vacant since January of this year which means one less person is working on the many aspects of implementing the Bicycle Master Plan. Bicycle program funds were cut in 2010 and have not been restored. We think the Board should restore funding for the program next year, including funding for Bike Fairfax as recommended in the Bicycle Master Plan. Update: See the FABB blog entry on the recently approved Transportation Demand Management Plan 2016-2021 that includes funding for staff to conduct encouragement and education activities. US Air Force Lieutenant Colonel Paul Ferguson finds riding a fun and cost-effective way to commute from his home in Burke to the Burke Centre Virginia Railway Express station. During his Bike to Work Day pit stop, Lt. Colonel Ferguson said he was very happy with his ability to commute safely and with ease, possibly because he is able to take advantage of the paved Burke VRE Trail and the bike racks or enclosed bike lockers available at the train station. By the way, VRE permits collapsible bikes on all cars, on all trains, as long as they are completely folded and safely stored in overhead luggage racks or under seats. Full size bikes are allowed only on the last three northbound, mid-day, and last three southbound trains. The section of the Cross County Trail in Wakefield Park is heavily used by commuter and recreational cyclists. The unpaved trail is in poor condition. Fairfax County Park Authority is proposing to pave over a mile of the trail north of Braddock Road. 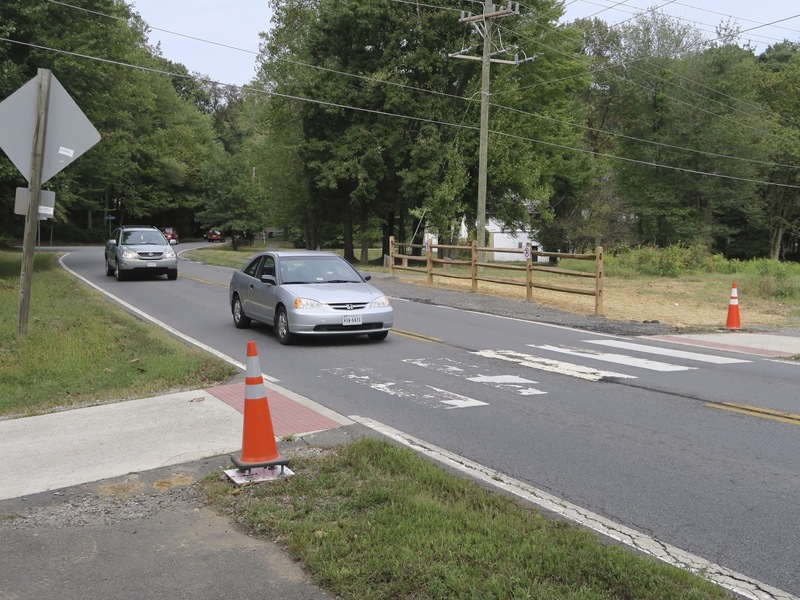 A public meeting to discuss the project will be held at 7 p.m. on October 15, 2015 at Kings Glen Elementary School Cafeteria, 5401 Danbury Forest Drive, Springfield, VA. The paved surface will be easier to maintain and provide a much better surface for most trail users. Even so, some opposition is expected. Cyclists are encouraged to attend the meeting to learn more about the project and voice your support. In response to recommendations and suggestions offered by community members and trail users, the Fairfax County Park Authority is planning trail improvements of the Gerry Connolly Cross County Trail at Wakefield Park in Annandale, Va. A public meeting to discuss the project will be held at 7 p.m. on October 15, 2015 at Kings Glen Elementary School Cafeteria, which is located at 5401 Danbury Forest Drive in Springfield, VA. The Gerry Connolly Cross County Trail is one of the most heavily used trails systems in Fairfax County. The Park Authority’s project includes paving approximately 7,800 linear feet of the trail in Wakefield Park between Braddock Road and Americana Park. The proposed route will follow the existing gravel trail, will be approximately eight to ten feet wide, and will be designed to minimize the impact to natural resources contained within the park. The Park Authority’s project team includes environmental and historic resource professionals who will be closely involved in the design process and will work to ensure that any impacts are limited. For comments or questions about the project, please call Project Manager Bill Boston at 703-324-2710 or send email to William.boston@fairfaxcounty.gov. All second graders in DC public schools now have the opportunity to learn to ride a bike. Starting this year physical education teachers will hold four 50-minute lessons on bike safely. District DOT and private donors purchased 1,000 bikes to be used in the classes. The bike-riding unit is one of the District’s new “cornerstone” lessons, which aim to bring more uniform and rigorous instruction to students in every part of the city. They are designed to be memorable and relevant learning experiences, said Brian Pick, chief of teaching and learning for D.C. Public Schools. The unit also reflects efforts across the country to make physical education classes more accessible and useful, with less focus on competitive sports and more attention to healthy lifestyles and fitness habits. The school system will ensure that programs of walking, bicycling and bus safety education shall be established and maintained for students in the elementary schools. Such programs shall be conducted in accordance with Virginia Department of Education curriculums and guidelines. Staff members will provide general safety information to school communities and respond to requests for specific information and advice when practicable. These programs have not been established and almost no elementary kids receive bicycle safety education. According to the Post article referenced above, "Fairfax County offers optional lessons for older elementary students." There may be one or two schools that offer some bike safety instructions. The lessons should not be optional according to FCPS policy. 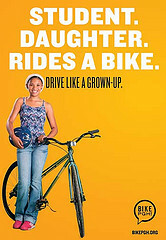 All elementary students should have the opportunity to learn about safe bicycling skills. Why not ask your School Board member why FCPS does not follow their own policy on bike education. According to W&OD Trail manager Karl Mohle of NoVa Parks (the new moniker for NVRPA), a new signal will be placed at the W&OD Trail/Cedar Lane in the next few days. The signal is a Rectangular Rapid Flash Beacon (RRFB). 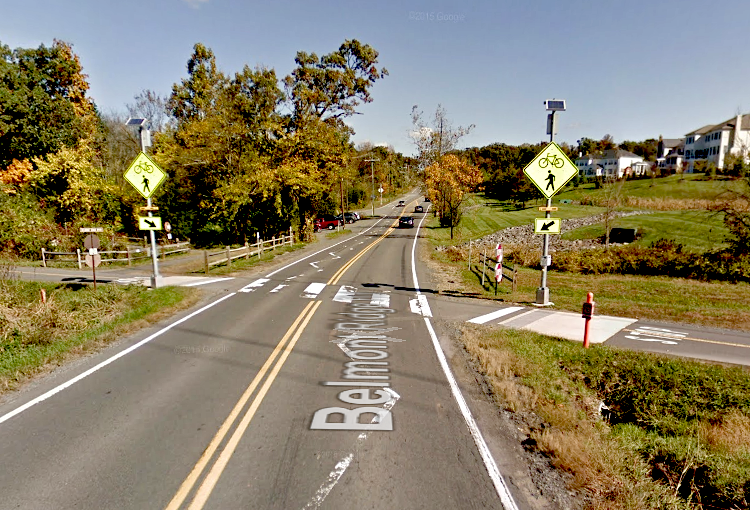 One is currently located at the Belmont Ridge trail crossing in Loudoun County. Trail users push a button and lights will flash warning motorists that someone wants to cross. It’s not a typical red traffic signal. The lights are amber and they use an irregular flash pattern. While motorists are not required to stop, the lights certainly get their attention the signals have been shown to be very effective if used properly. lights, they are required to yield to pedestrians in a crosswalk. In my experience motorists at the W&OD Trial crossings are much more considerate than they were just a few years ago. Most will stop for trail users waiting to cross. Personally I think the RRFB is a much better safety measure than a traditional traffic signal where trail users are required by law to wait until they get a green WALK signal. If they are involved in a crash and they had entered the crosswalk without the WALK signal, they would be found at fault. Let's see how these signals work. There will be an initial learning period but we think they will be a definite improvement at the Cedar Lane crossing. In celebration of it's 30th anniversary, Fairfax Connector is offering free rides on all buses on Tuesday, September 29. All buses have bike racks located on the front of the bus that can carry 2 bikes. If you've ever wanted to try using the racks to extend your trip, this is a great opportunity. The Connector has posted a photo tutorial on using the racks. Now if we could just convince the Connector drivers to come to a complete stop before turning right on red. I've contacted Connector management multiple times about drivers looking left and turning right on red without stopping but unfortunately it regularly happens. Be sure to make eye contact with Connector drivers and any motorists before crossing in front of them. On Tuesday, Sept. 29, 2015, Fairfax Connector celebrates 30 years of serving the Fairfax County community. TheFairfax County Board of Supervisors recognized this milestone at their regular meeting on Tuesday, Sept. 22, 2015, as part of a proclamation encouraging residents to “Rethink Your Commute” and take advantage of the county’s numerous transportation options. To celebrate Fairfax Connector’s 30th anniversary, all passengers can ride Connector for free, system-wide, on Tuesday, Sept 29, 2015. For information on routes, schedules and tips for riding Connector, visit www.fairfaxconnector.com. Fairfax Connector is the largest local bus system in the Northern Virginia region transporting 35,000 passengers on 84 routes daily. For more information about Connector service, visit www.fairfaxconnector.com, email fairfaxconnector@fairfaxcounty.gov, or call 703-339-7200, TTY 711. You can also follow us on Twitter @ffxconnector and with #RethinkYourCommute, or like us on Facebook /fairfaxconnector. On October 6 author Peter Norton will discuss his book Fighting Traffic: The Dawn of the Motor Age in the American City at the George Mason University Arlington campus. Peter is Assistant Professor in the Department of Science, Technology, and Society at the University of Virginia. After his talk there will be a panel discussion on "Shaping the Urban Environment Through Multimodal Transportation." Who do the streets really belong to? Join us for a special evening discussing transportation, how we got here and where we are going. First a presentation by Peter Norton on his (highly) acclaimed book “Fighting Traffic: The Dawn of the Motor Age in the American City" followed by a "Pizza & Perspectives" panel discussion with local transportation experts on “Shaping the Urban Environment through Multimodal Transportation", Founders Hall Multi-Purpose room, at the George Mason University campus in Arlington on October 6. The event is free to all. 5:00pm - Professor Peter Norton's Presentation Several signed copies of Professor Norton's book will be raffled off after the presentation. Please RSVP for PART 1 of the program as space is limited. An RSVP is not needed for PART 2 of the program. Thank you and we look forward to sharing the evening with you. On September 9, 2015, the Fairfax County Park Authority released its Needs Assessment Results. 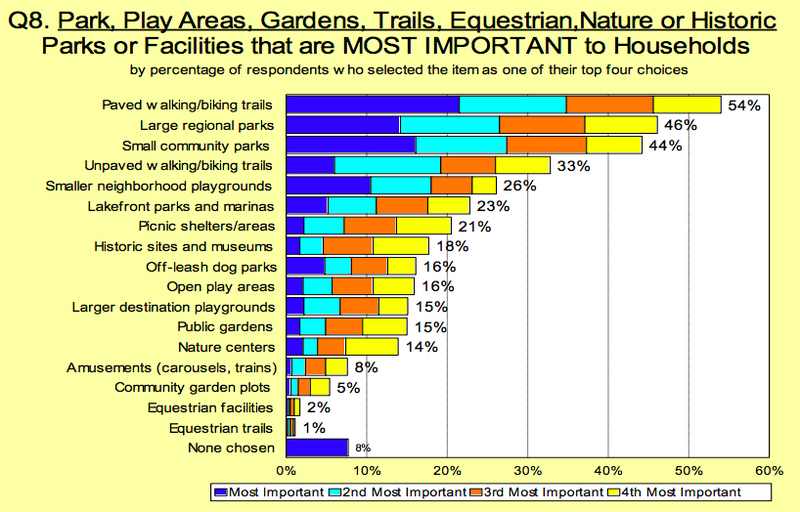 The countywide, statistically valid sample shows that walking and bicycle trails are the most important park facility. The Needs Assessment will help inform the Park Authority on the 2016 park bond issue. A total of 4665 residents actually completed the survey: 435 by web and 4230 by mail. 87% of respondents had visited a Park Authority park in the past year. Parks or Facilities that are MOST IMPORTANT to Households." Paved walking/biking trails were ranked the highest of any other possible options, above "Large regional parks, Small community parks, and Unpaved walking/biking trails, etc." The Assessment is important as it will guide future spending decisions within parks. When respondents were asked which facilities they were "Willing to fund with county tax dollars," "Expand/renovate walking/biking trails" ranked highest. Trails were also the facilities that were used the most by respondents, and they ranked the highest in unmet needs. To learn more about this effort, visit the Parks Count! website. "Early 2016 we will invite you to a second public forum to share the study findings and recommendations to the Park Authority Board for their consideration. From then on through the next several years, we'll use the findings to guide investments in parks, facilities and services that count to our community." 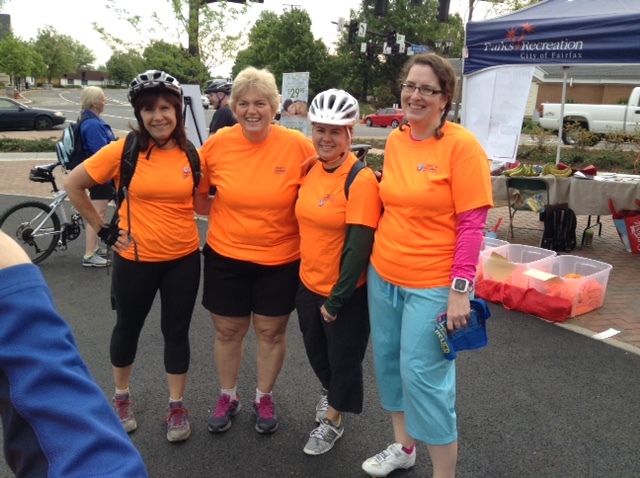 At the Falls Church Bike to Work Day pit stop, these four friends posed for a FABB photographer while taking a short break on their commute to their jobs with Fairfax County Public Schools. Jennifer and Erin were taking advantage of Bike to Work Day to try out bike commuting. 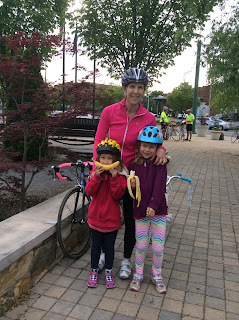 while Evie, who is a member of the City of Fairfax Parks & Recreation Advisory Board, and Elaine, an environmental educator for the county, said they regularly commute by bike to the FCPS office in Merrifield. 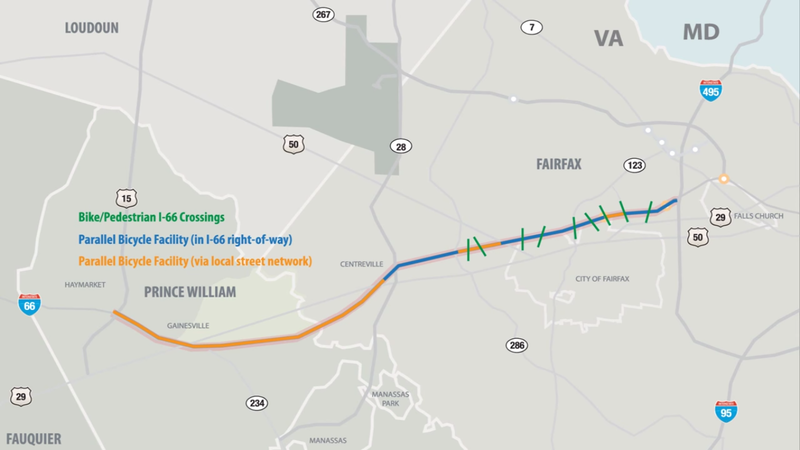 VDOT will hold a public information meeting to present proposals that will affect 6.9 miles of Route 7 between Reston Avenue and Jarrett Valley Drive just outside Tysons. 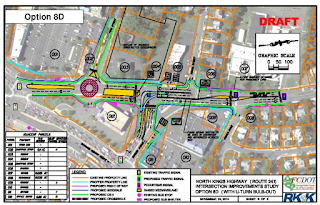 Some of the Route 7 Corridor Improvements project proposals include the widening of the road from four to six lanes, intersection improvements, and the addition of 10-foot wide shared-used paths on both sides of the road. The project will connect to bike facilities planned as part of the Route 7 over Dulles Toll Road project. Route 7 leading into Tysons. The meeting is on Thursday, September 24 at 6pm at the Forestville Elementary School Cafeteria, 1085 Utterback Store Road, Great Falls, VA 22066. Cyclists are encouraged to attend the meeting and speak out in support of the project, which is intended to expand mobility for cyclists and pedestrians. Widening this high-volume route has been part of Fairfax County's Comprehensive Plan for many years. When completed, it will link northern and western Fairfax with the county's planned revitalization of Tysons area. Meetings with VDOT also will be available by request in October and November. A new project website will be available in late September with updated content and a feature for requesting these meetings. 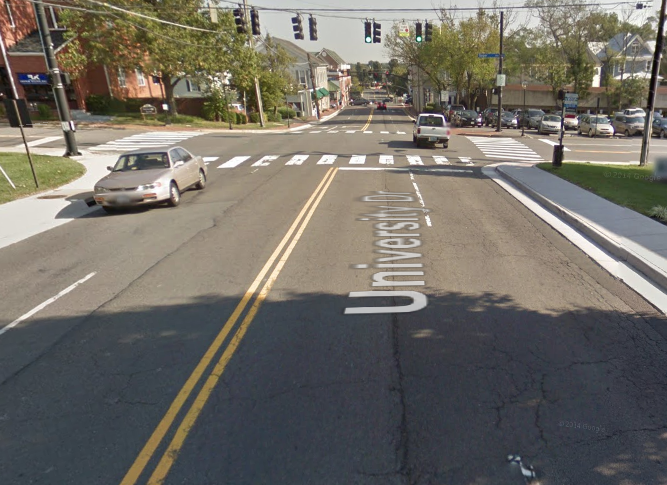 The City of Fairfax will hold a public hearing on a proposal to implement a road diet on University Drive between Armstrong Street and Sager Avenue. The hearing is on Tuesday, September 29 at 7pm at City Hall, 10455 Armstrong Street. Fairfax, VA 22030. Check the City of Fairfax Public Hearing info page for details. This section of University is an important bicycle connection between George Mason University and the City of Fairfax. Reducing the travel lanes from 2 lanes in each direction to 1 regular lane and a bike lane in each direction will greatly benefit cyclists traveling between the two destinations. The project will be evaluated for one year to determine whether or not to make it a permanent change. Cyclists are encouraged to attend the hearing and speak out in support of the project. To learn more about the project before the public hearing see a copy of the City Council presentation. Today VDOT released their preferred option for the I-66 Outside the Beltway widening project, called the Preferred Alternative. According a video describing the Preferred Alternative design, the parallel trail is included, either inside the right-of-way or on local streets. Bike and ped facilities are also planned on the rebuilt bridges across I-66. The image above shows in blue where the trail is located inside the right-of-way, and in yellow on local streets. Two major sections in Fairfax County are located on local streets, between Nutley Street and Blake Lane and between Route 50 and the Fairfax Co Parkway. Major changes will likely be needed to make those local roads bike-friendly. 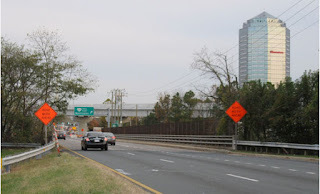 Inside the I-66 right-of-way (east to west): Gallows Road to Nutley Street, Blake Lane to Route 50, Fairfax Co Parkway to Route 29. Local streets (east to west): Nutley Street to Blake Lane (either Virginia Center Blvd/Country Creek Rd on the north or Saintsbury Dr on the south), Route 50 to Fairfax Co Parkway (possibly Random Hills Rd to Monument Dr to Fair Lakes Parkway), and Route 29 to Haymarket. Bikeways, trails and/or sidewalks will be constructed on bridge crossings impacted by the project. 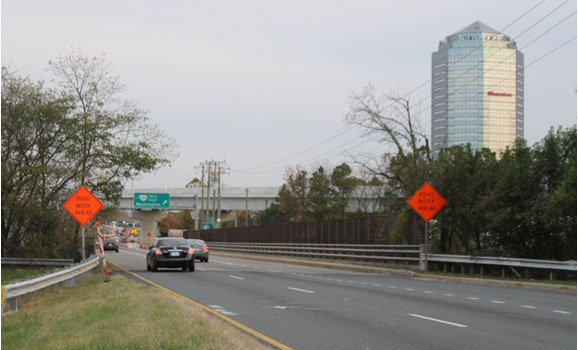 In coordination with local partners, and consistent with previous planning efforts, a trail concept parallel to the I-66 corridor has been developed. In the preferred alternative, the parallel trail will be located in the I-66 right-of-way and on local streets. TDM strategies will include support for bicycling and walking. Fairfax County is proposing major changes to the southern section of North Kings Highway near Route 1. Cyclists familiar the area are encouraged to review the proposed options and comment on how they impact bicycle access. Is there adequate bike access to destinations along North Kings Hwy? Comment period ends November 15. The Fairfax County Department of Transportation (FCDOT) is seeking to develop viable transportation improvements to address traffic issues and community concerns along North Kings Highway (VA 241) within the Penn Daw Community Business Center (CBC), including cut-through traffic, pedestrian safety and walkability. Removal of the existing traffic signal at North Kings Highway and School Stree. Conversion of School Street to a right-in/right-out access. The below presentation shows the proposed options 8C and 8D in more detail, as well as the measures of effectiveness for both alternatives (including travel times). Please review and use the comment form to submit your feedback on these alternatives online by Nov. 15, 2015. The Fast Lane, the official blog of the U.S. Dept. of Transportation, recently posted an article entitled Clarifying Bike-Ped Project Funding, Design and Environmental Review. The article notes that FHWA recently released a new document on Federal funding of bike and ped projects, Bicycle and Pedestrian Funding, Design, and Environmental Review: Addressing Common Misconceptions. The publication is an excellent resource for transportation professionals and advocates who want to use Federal funding to make their communities more bicycle- and pedestrian-friendly. Below is an extract from the document. See the link above for the full document including references to resources. This document is important for those hoping to transform our major roads like Routes 1, 7, and 50 into more bike-friendly roads. These roads are part of the National Highway System (NHS), and in the past traffic engineers have resisted some changes to these roads that would make them more complete streets. The new document addresses misconceptions about what can and cannot be done on NHS roads. Fairfax County is holding a meeting on September 17 at 7 p.m. at the Fairfax County Department of Transportation, 4050 Legato Road, Suite 400, Fairfax, VA 22033 to discuss the next round of Transportation Alternatives Program (TAP) projects to be submitted by the county. Please considering attending that meeting to provide input. This is false. The FHWA guidelines allow National Highway System (NHS) capacity and safety needs to be addressed through a mix of on-system and parallel system network streets. A portion of the local network is part of the Federal-aid highway system. All other roads that have a functional classification higher than local road or rural minor collector are eligible for Federal-aid funding through STP. Projects on local roads and rural minor collectors may be eligible in some cases. Furthermore, STP, TAP, and HSIP funds may be used for bicycle and pedestrian projects along any public road or trail, without any location restriction. 4. Federal funds can't be used for road diets. This is false. Federal funds may be used for road diets, which are generally described as removing vehicle lanes from a roadway and reallocating the extra space for other uses or traveling modes, such as parking, sidewalks, bicycle lanes, transit use, turn lanes, medians, or pedestrian refuge islands. The FHWA supports consideration of road diets or rightsizing when applied at the proper location and has created a webpage to promote the use of this technique. Road diets can offer significant safety benefits to a community (20-60% reduction in crashes is common) and are one of FHWA's Proven Safety Countermeasures being promoted through the FHWA Every Day Counts 3 Initiative. Additionally, in many applications, they are part of city and regionally approved pedestrian and bicycle master plans, and community comprehensive master plans. Localities across the nation are using this low-cost safety countermeasure to improve safety, operations, and livability in their communities. This is false. States have funded more than $1.5 billion in bicycle and pedestrian accommodations with CMAQ Program funds since 1993. TheCMAQ Program is intended to be a flexible funding source to State and local governments for transportation projects and programs to help meet the requirements of the Clean Air Act. Funding is available to reduce congestion and improve air quality for areas that do not meet the National Ambient Air Quality Standards for ozone, carbon monoxide, or particulate matter (nonattainment areas) and for former nonattainment areas that are now in compliance (maintenance areas). Funds may be used for transportation projects likely to contribute to the attainment or maintenance of a national ambient air quality standard, with a high level of effectiveness in reducing air pollution. The CMAQ funding is apportioned to the States to support projects that meet specific eligibility criteria. Some locations give preference to CMAQ eligible quality of life projects, such as nonmotorized transportation projects, as part of their CMAQ funding criteria. See for example the Merced County Association of Governments' Goals and Procedures for Programming CMAQ Funds:http://www.mcagov.org/DocumentCenter/View/188. The FHWA's 2013 Bicycle and Pedestrian Design Flexibility Memo supports a flexible approach to the planning and design of pedestrian and bicycle facilities. This memo indicates that FHWA supports the use of additional resources that build off the flexibilities provided in the AASHTO Guide for the Planning, Design, and Operation of Pedestrian Facilities and the Guide for the Development of Bicycle Facilities, as well as the policy based Green Book. These resources include the National Association of City Transportation Officials' Urban Bikeway Design Guide and the Institute of Transportation Engineers' Designing Walkable Urban Thoroughfares. FHWA also recently published the Separated Bike Lane Planning and Design Guide that includes planning considerations and design options for separated bike lanes. 7. Lane widths cannot drop below 11' on the NHS and 9' when Federal funds are used on local roads. This is false. There is no minimum lane width requirement to be eligible for Federal funding. As stated in the answer to Question 6, States may adopt their own standards for non-NHS roadways. The NHS includes major arterials as well as other roads important to the nation's economy, defense, and mobility. As such, the Green Book generally requires 11' or 12' lanes on these roads. The Green Book allows for lesser lane widths on low-speed facilities and low-volume roads in rural and residential areas; situations in which research shows that narrower lanes should not negatively impact safety if appropriately implemented based on the context. There is no outright prohibition against using lane widths less than those stated in the Green Book, if a design exception is justified and approved in accordance with FHWA regulations and policy. For more information on design standards and design exceptions, please visit http://www.fhwa.dot.gov/design/standards/qa.cfm. Curb extensions, also known as bulbouts or neckdowns, can have significant benefits for pedestrian safety. 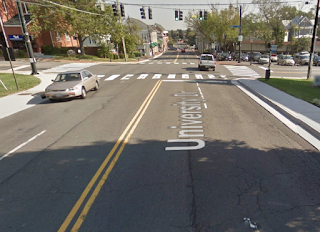 Curb extensions are explicitly supported by FHWA because they enhance the safety of pedestrians, reduce the distance needed to cross the street, and make pedestrians more visible to motorists, particularly when there are parked cars in the vicinity. The related use of medians and crossing islands are FHWAProven Safety Countermeasures. This is false. The MUTCD Section 2B.13 contains the following mandatory (Standard) statement: "Speed zones (other than statutory speed limits) shall only be established on the basis of an engineering study that has been performed in accordance with traffic engineering practices." According to the 2012 FHWA Document Methods and Practices for Setting Speed Limits, there are basic ways of setting speed limits. Use of the 85th percentile methodology is just one part of what FHWA calls the Engineering Approach. This is described as "A two-step process where a base speed limit is set according to the 85th percentile speed, the design speed for the road, or other criterion. This base speed limit is adjusted according to traffic and infrastructure conditions such as pedestrian use, median presence, etc." The 2012 document goes on to say that the engineering approach requires the use of judgment. This is different than simply setting a speed limit based on the measured 85th percentile. The FHWA developed a model called USLIMITS2, which is a web-based tool using an expert system with a fact-based set of decision rules to determine an appropriate speed limit for all roadway users. For roadway segments that experience high pedestrian and bicyclist activities, USLIMITS2 recommends speed limits close to 50th percentile instead of 85th percentile speed. For more information, visithttp://safety.fhwa.dot.gov/uslimits/. On Bike to Work Day 2015, Heather, Isabel and Mia Buescher of Vienna took a short break at the pit stop at the Vienna Town Green, just off the Washington & Old Dominion Trail. They told FABB that they ride for fun but also to get to school, go to the library, run errands and trips to the grocery store. All three like biking as a means of exercise and appreciate having trails and bike lanes to make riding easier and safer. FABB is proud of its ongoing efforts to work with Fairfax County government and others to expand such bicycling infrastructure around the county. The Vienna Town Green, located at 144 Maple Avenue East in Vienna, features water fountains and benches that bikers can use for a quick break from their rides. The park frequently features various musical and other live performances. 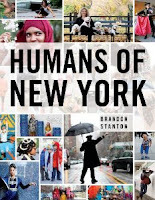 Months ago, FABB was inspired by the efforts of Brandon Stanton and his Humans of New York photographs and blog and by BikePittsburgh’s “Drive With Care” public service campaign to try to personalize Fairfax County’s bicyclists for the larger public. During last May’s Bike to Work Day, FABB members took pictures of numerous bikers and asked them about themselves and their biking habits. Starting today and over the next few months, we will be posting what we modestly call “Faces of Fairfax” to show the breadth, depth, and humanity of cyclists here in northern Virginia. We encourage FABB members and other readers to share these profiles in social media as a reminder to our fellow citizens that, when it comes to our area’s bike commuters, recreational riders, and other bicyclists, we represent a wide range of ages, backgrounds, and interests. We are mothers and fathers, sisters and brothers, and sons and daughters. And, when we ride with safety in mind and within the law, we deserve reciprocal care and consideration from others on the road and trails. Special thanks to FABB interviewers/photographers Alan Young, Bruce Wright, Douglas Stewart, Sonya Breehy, and Stiven Foster. 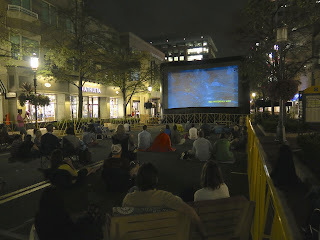 he sky cleared and the crowds came out to last night’s Clips Beer & Film Tour at the Reston Town Center. Thanks to New Belgium Brewing Co. for bringing the Tour to Reston to benefit FABB’s work in making Fairfax a better place to bike. A special thanks to Sonya Breehey and her FABBulous team of volunteers who spent the day helping the New Belgium crew set up and run the event. Clips wouldn’t be possible without their hard work and dedication. Thanks to The Bike Lane for providing the bike valet service. And thanks to everyone who attended the event; your support will go a long way toward helping FABB reach our goals. We heard lots of great feedback from participants about how much fun they had and how well-run the event was. We hope Clips returns next year. The weather forecast is looking better for this evening's Clips Beer & Film event at the Reston Town Center. It looks like the major rain will hit around 3 p.m. and after that the chance of rain drops to 15%. There will be plenty of time for everything to dry out by 7 p.m. when the event begins. 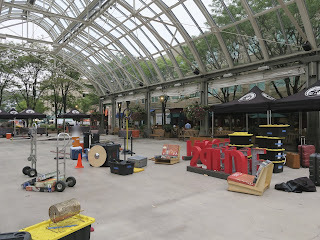 Films begin at 8:30 p.m.
FABB volunteers and the crew from New Belgium Brewing Co are working hard setting up the token sales and beer pouring stations, lounge chairs, and the inflatable screen for displaying the short films. Food trucks from Doug the Food Dude and BaconN'Ed's will also be there. Come on out and enjoy some eclectic short films, some exotic and rare New Belgium beers, and support FABB's work to make Fairfax a better place to Bike. 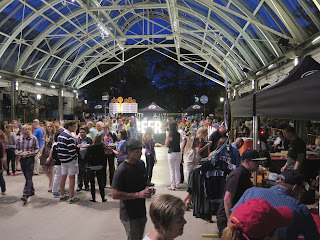 We hope to see you at the Reston Town Center tonight. Volunteers from The Bike Lane will be there to provide free bike valet service so hop on your bike and head to Reston. Reston's Clips Beer & Film Tour is tomorrow, Thursday, Sept. 10 at the Reston Town Center. While it looks like rain may pass through the area, the event will be held as scheduled. Come on out to sample some of New Belgium Brewery's more exotic beers while enjoying a series of short films displayed on a large portable (waterproof) screen. FABB receives all proceeds from the event. The Town Center Pavilion is covered and even if there is some rain you will still be able to enjoy the event. When has a little rain stopped intrepid cyclists? That's why rain gear was invented. This is one of FABB's only fund raising events this year; proceeds will help us work with the county to implement the Bicycle Master Plan and for us to be more effective in advocating for an extension of the Custis Trail outside the Beltway parallel to I-66. We hope to see you tomorrow in Reston. Fairfax County is hosting a public information meeting tonight, Wednesday, September 9, to discuss the impact of providing lighting on the trail leading from Vesper Street to the Spring Hill Metrorail station on Route 7. The meeting begins at 7pm at Wolf Trap Elementary School, 1903 Beulah Rd, Vienna, VA 22182. This proposed trail (between 17 and 24 on the map) is an important connection between residential neighborhoods in the northeast part of Vienna and Tysons and the Spring Hill Metro station. Lighting along the trail will make the trail safer for cyclists and others. Cyclists are encouraged to attend to find out more about the project. 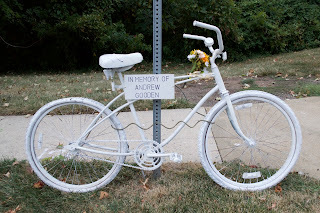 FABB placed a ghost bike near where Andrew Gooden was killed by a motorist on Monday, August 31, 2015. Andrew was a lifeguard who was riding home after work. He leaves a wife and two children. His pregnant wife is expecting another child in October. A gofundme site is accepting donations "to raise money for his Wife and Children back in Jamaica so that they may have the opportunity to live the lives Andrew worked so hard for them to have. Any donations will be greatly appreciated and given to Andrew's wife to help pay for funeral costs, and care of his soon to be 3 children." $5,756 has been raised so far. Sunrise Valley Drive at this location is very wide, probably much too wide for the amount of traffic it carries. I think the speed limit of 40 mph is to high for this area where many people live in multi-family units nearby. 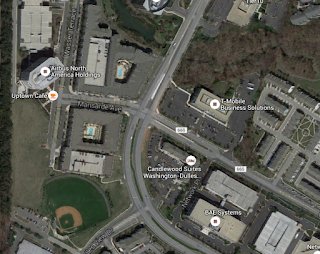 Fairfax County is considering options for making cycling safer along this stretch of Sunrise Valley Dr. Unfortunately it will be too late for Andrew. The crash is still under investigation. We will post any new information as it is released. Pledge for Car Free Day and Choose Your Team! Demonstrate Support for a Greener Commute by Choosing #teambike, #teamwalk, #teamrail, #teambus, #teampool or #teamtelework on September 22! Washington D.C. — This year metropolitan Washington area commuters, residents, and students who pledge to go car free or car-lite on Car Free Day, Tuesday, September 22 can join the team that best fits their preferred way to travel—and qualify for drawings for great prizes. Commuter Connections invites participants to choose #teambike, #teamwalk, #teamrail, #teambus, #teampool or #teamtelework when they register at www.carfreemetrodc.org, to show how they travel, and post stories about the benefits of alternatives to driving alone on social media. Travelers trying a new mode for the first time—and those who already travel car free—can take the pledge. Commuter Connections, the region’s commuter transportation network coordinated by the Metropolitan Washington Council of Governments, organizes the annual event in the metropolitan Washington area to encourage travelers to try a train, bus, bicycle, car or vanpool, or walk instead of driving alone. Celebrated in 1,500 cities in 40 counties, World Car Free Day is an annual event that challenges everyone who drives a car to try greener, more efficient transportation options that can be integrated into their daily lives. Information on team travel options and ridematching is available at the Commuter Connections website. Site visitors can set up a free account and request a ridematch, make carpooling plans, and learn about other transportation opportunities to decrease the number of single-occupant vehicles on the road and congestion around the region. Stay up to date on #CarFreeMetroDC on Facebook and Twitter. Sadly, Andrew Gooden passed away Monday, August 31, 2015 after being struck by a car . Andrew leaves behind his wife Denise, 2 children with a baby due to be born in October. 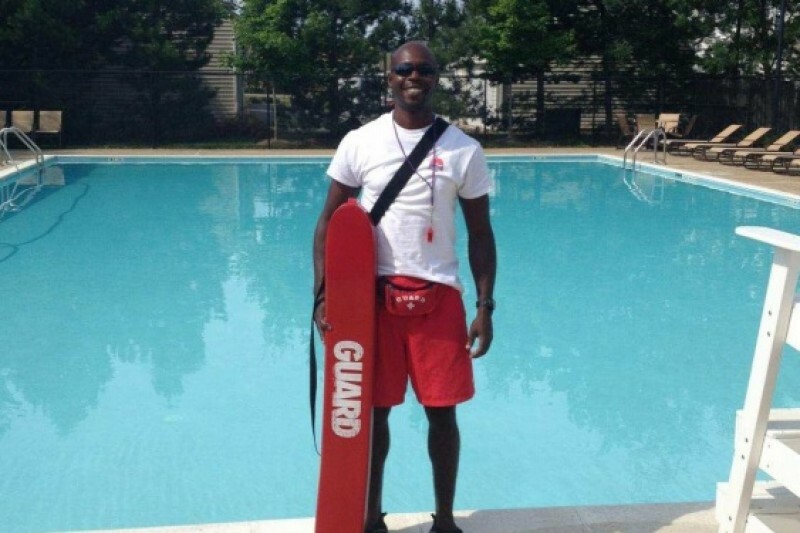 Andrew arrived to work in the US from Jamaica in 2014 and returned again in 2015 as a lifeguard and pool manager. He was loved by his friends, coworkers and clients alike. We are creating this webpage in order to raise money for his Wife and Children back in Jamaica so that they may have the opportunity to live the lives Andrew worked so hard for them to have. Any donations will be greatly appreciated and given to Andrew's wife to help pay for funeral costs, and care of his soon to be 3 children. 100% of donations will be given to his wife and children. New Belgium Brewing Company’s Clips Beer & Film Tour is a celebration of handmade films, handmade beers and community benefiting FABB. Join us at the Reston Town Center on Thursday, September 10 from 7-10 p.m. 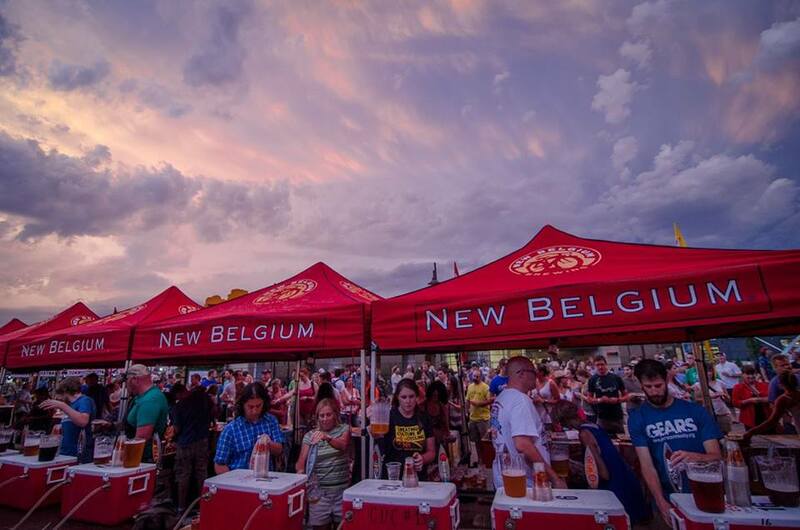 Sample some of New Belgium Brewery's more exotic beers while enjoying short films displayed on a large portable screen. Films begin at 8:30 p.m. All proceeds raised at the event go toward helping FABB make Fairfax County a better place to bike. Everyone is encouraged to ride, walk, or take transit. The Bike Lane will provide free bike valet. Everyone must have a valid government-issued ID to purchase beer tokens. Water stations will be available so bring your water bottle. See the Reston Clips Tour Facebook page for more info. 2900 Sutton Road, Vienna, VA 22181 and Tuesday, October 20, 2015 at VDOT Northern Virginia District Office, 4975 Alliance Drive, Fairfax, VA 22030. The meetings go from 6:30 p.m. until 8:30 p.m. Please plan to attend one of these meetings to learn more about the parallel trail and the bicycle facilities planned for the rebuilt bridges crossing I-66. Thanks to a generous donation by Reston Bicycle Club and help from Fairfax Advocates for Better Bicycling, Fairfax County recently took possession of their first-ever automated bike counter. The mobile counter will allow Fairfax to begin to establish bicycle and pedestrian counts at locations around the county. Counts are transmitted automatically to a central server and are accessible by the county using custom software from Eco Counter. That data can be displayed on a publicly accessible dashboard the following day, similar to Arlington's Counter Dashboard. Eventually Fairfax County hopes to have a network of counters. The counters would be part of an annual performance tracking program that is recommended by the recently approved Bicycle Master Plan. The counts would be used "to both establish a baseline assessment of bicycle activity in Fairfax County, and to track on an annual basis the implementation and performance of the Master Plan." Conveniently located, good quality bike parking is an important way to encourage more people to bike. Many bike destinations either have no bike parking or the racks provided are inadequate or incorrectly installed. The county is making some progress. Bicycle Parking Guidelines were recently presented to the Board of Supervisors. The county also recently ordered 35 inverted U bike racks to be placed where needed on county property. To improve bike parking in the county, help us locate and map existing bike racks. Rackspotter is a web-app that Arlington County is using to map bike racks. The application is now available for mapping racks in the greater DC area. The app allows you to identify the rack type, capacity, and location. You can also add a photo of the rack. As you travel around the county, why not take a minute to map bike racks that you encounter. 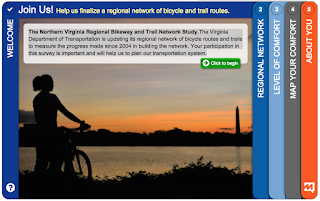 VDOT is updating the Northern Virginia Regional Bikeway and Trail Network Study completed in 2004. NoVa cyclists are encouraged to participate in a survey to provide feedback to the study team on the current state of cycling in the NoVa area and future needs. FABB is part of the team that is working with VDOT to update the study. Fairfax County is experimenting with allowing high school and middle school students to ride Fairfax Connector buses for free to get to and from school, to after school jobs, and other activities. Students must apply for a pass that is valid on Fairfax Connector buses between 6 a.m. and 8 p.m. M-F. In-school outreach is being done at five target high schools. See the FABB blog for more info and a link to a video about the program. We were pleased to see a student demonstrating how to use the bus bike racks in the video. On August 7 and August 22, Northern Virginia Regional Commission (NVRC), Inova Trauma Center, and FCPS Safe Routes to School (SRTS), along with League Cycling Instructor Kelley, put on pedestrian and bicycling safety events at two apartment complexes on Rt. 1 in Alexandria. The communities were selected under a VA Department of Motor Vehicles Grant because they have experienced pedestrian and/or bicycle fatalities in interactions with motorists. FCPS SRTS put on bike rodeos, Inova distributed helmets, NVRC gave information in English and Spanish about safe use of the roads and crosswalks, and Kelley instructed about helmet use, the importance of lights, and signaling. On the 22nd, two young mechanics from Phoenix Bikes and volunteers from VeloCity provided minor bike maintenance. The coalition of partners will host another event in Herndon on September 19. For more information or to volunteer, contact Kelley at kbikeva@gmail.com. Spanish language skills particularly sought. We are seeing incremental change in multi-modal transportation. Many have seen bicycles of all different types (and condition) locked to anything vertical at entrances of Metro stations in NoVa. Bike lockers were installed at stations but they cannot be expanded easily so why not install a secure bicycle room with greater capacity? A while back though, money was found to improve bus stops in Fairfax County. Concrete pads were installed and some shelters were also installed. Now we are seeing bicycles locked to the posts of shelters in what is a clear indication of the appeal and utility of multi-modal transportation. All Fairfax Connector buses have dual bike racks on the front that have become so popular, bicyclists now are reluctant to use them for fear the rack will be full when the bus arrives at their stop. Reflecting on this, while I have multiple bicycles at my disposal, a year in review finds I most often reached for my folding bicycle, which follows me on the bus and Metro to get me pretty much anywhere I want to go in the greater Washington Metropolitan Area, and back. More and more on-road bicycle facilities are appearing. While painfully slow for some, the dots are being connected, making cycling available to an ever greater proportion of the 1 million-plus inhabitants of Fairfax County. There is much to cheer us, even as we face a mountain of work ahead. If you don't already, please Like us on Facebook and follow our Twitter feed. If you have news about bicycling in Fairfax to share with our readers, please submit brief articles to news@fabb-bikes.org. September 9, Wednesday - Vesper Trail lighting meeting, Wolftrap Elementary, 7 p.m.
September 16, Wednesday - FABB Monthly Meeting in Vienna at 7:30 p.m.
October 21, Wednesday - FABB Monthly Meeting in Vienna at 7:30 p.m.
We were very sad to hear about the cyclist who was killed by a motorist while riding on Sunrise Valley Drive near Coopermine Road on Monday. This section of Sunrise Valley Dr. is in the far western part of the county, near Route 28. A number of large multi-family residences are nearby. The future Innovation Center Metro station is located just to the north. FABB was just evaluating the need for bike lanes along Sunrise Valley Dr. when we learned of this crash. Detectives from the Crash Reconstruction Unit are investigating a crash involving a bicycle and an SUV that occurred on Sunrise Valley Drive near Coppermine Road, on Monday, August 31, shortly after 8 p.m. The preliminary investigation suggests that two bicycles were traveling north on Sunrise Valley Drive in the right lane. Neither rider was wearing reflective clothing, nor did they have any lights on their bicycles. A 2014 Chevrolet Suburban (SUV), driven by a 29-year-old Fairfax man, also traveling north on Sunrise Valley Drive, approached the bicycles from behind and struck one of the riders; a 38-year-old, whose address is unknown at this time. The driver of the SUV remained on the scene. The bicyclist who was struck was transported to Reston Hospital Center and was pronounced dead later that evening. Speed and alcohol do not appear to be factors in this crash. It is still under investigation and next of kin has not yet been located. Anyone with information regarding this crash is asked to contact Crime Solvers electronically by visiting www.fairfaxcrimesolvers.org or text-a-tip by texting “TIP187” plus your message to CRIMES(274637)** or by calling 1-866-411-TIPS(8477), or call Fairfax County Police at 703-691-2131. We are questioning why there was mention of the cyclists not wearing reflective clothing. Is it a good idea to wear reflective clothing? Yes, but it's not a requirement. There was no comment about whether the motorist was texting or talking on the phone or otherwise distracted. Did the motorist have his lights on? As we find out more about the crash we'll report it here.